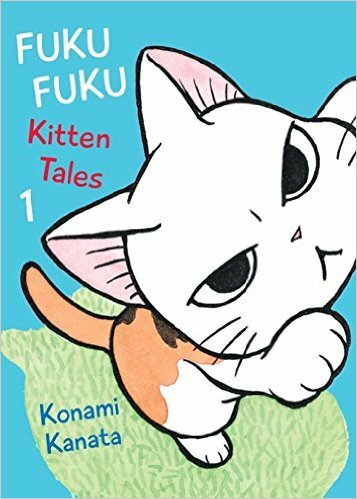 VIZ isn’t the only manga publisher experimenting with digital-first releases; Yen Press has also rolled out new titles in digital form before introducing print editions. One of the latest Yen titles to make the leap from web to page is Handa-kun, Satsuki Yoshino’s comedy about a talented teen calligrapher. If the premise sounds familiar, that’s because the title character also stars in Yoshino’s later series Barakamon–which begs the question, is Handa-kun just for fans, or will it appeal to the uninitiated? Read on for my verdict. By the time we meet Sei Handa in the first pages of Barakamon, he’s a twenty-something jerk who bristles at criticism, resents authority, and resists overtures of friendship. The tenth-grader we meet in Handa-kun isn’t as curmudgeonly, but he has a problem: he constantly misreads other people’s motives, whether he’s interpreting a love letter as a threat or perceiving a job offer as a “shady” attempt to unload stolen clothing. For all his weirdness, however, Handa’s classmates worship him, viewing his odd behavior and sharp calligraphy skills as proof of his coolness. Author Satsuki Yoshino wrings a surprising number of laughs from this simple premise by populating the story with a large, boisterous cast of supporting players. Though the outcome of every chapter is the same–female suitors and male rivals alike profess their sincere admiration for Handa–the path to each character’s epiphany takes unexpected turns. Yoshino complements these humorous soliloquies with expressive, elastic artwork that sells us on the characters’ transformations. In the volume’s best chapter, for example, Yoshino pits Handa against a bespectacled nerd named Juniichi. Juniichi’s entire self-image is rooted in his years of service as class representative–that is, until one of his peers nominates Handa for the honor. Yoshino makes us feel and smell Juniichi’s desperation by showing us how Juniichi sweats, grimaces, and paces his way through the vote-counting process, flagging or rallying with each ballot. By chapter’s end, Juniichi’s cheerful declaration that “Right now, I feel the best I have ever felt in my life” seems like the natural culmination of this fraught emotional journey–even though, of course, his feeling is rooted in a false sense of Handa’s moral rectitude. My primary concern about Handa-kun is that the series will overstay its welcome. Handa seems fundamentally unable to learn from his interactions with peers, and his classmates seem just as clueless in their blind adoration of him. If Yoshino doesn’t take steps to change this dynamic–perhaps by introducing a character who is genuinely unimpressed with Handa–the series risks settling into a predictable routine. For a few volumes, however, the current set-up will do just fine, offering the same brand of off-kilter humor as Haven’t You Heard? I’m Sakamoto. The bottom line: The first volume is funny enough to appeal to newbies and die-hard Barakamon fans. Reviews: Megan R. jumps in the WABAC machine for a close look at two BL titles from the mid-00s: Brother (originally published by Drama Queen) and Love Pistols (originally published by BLU Manga). At The OASG, Justin Stroman convenes a round table discussion of Kentaro Miura’s Giganto Maxima. 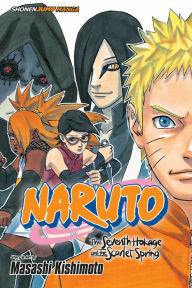 Reviews: The Manga Bookshelf team files a romantic set of Bookshelf Briefs. Ash Brown posts some short takes at Experiments in Manga. The Manga Revue: Behind the Scenes!! It’s a snowy day here in Boston, giving me the perfect excuse to tunnel under a blanket and read a goofy, light-hearted story. My escapism of choice: Bisco Hatori’s latest series, Ouran University Host Club Behind the Scenes!! Behind the Scenes!! embodies what’s good–and not so good–about Bisco Hatori’s storytelling. In the plus column, Hatori has a knack for writing ensemble pieces in which the principal characters exhibit a genuine fondness for one another. The stars of her latest series are Shichikoku University’s Art Squad, a scrappy outfit that makes props for the Film Club–or, more accurately, clubs, as there are several students groups competing for the Art Squad’s services, each with their own aesthetic objectives. Ranmaru, the series’ protagonist, gets a crash course in film making when he stumbles into the middle of an Art Squad project: a low-budget horror flick. As penance for disrupting the shoot, Ranmaru joins the Art Squad and is quickly pressed into service painting props, folding paper cranes, and building a fake hot spring. These scenes–in which Ranmaru and the gang tackle set-design challenges–are among the series’ most enjoyable. Not only do they give us a sneak peek at the movie-making process, they also show us how the club members’ friendly overtures embolden the timid, self-doubting Ranmaru to let go of his painful childhood and become part of a community. In one exchange, for example, Ranmaru tells a fellow squad member about a black-and-white film that made a powerful impression on him. Hatori cuts between scenes from this imaginary film and Ranmaru’s face, registering how powerfully Ranmaru identified with the film’s principal character, a toy robot who dreams of flying. The symbolism of the toy is hard to miss, but the directness and simplicity with which Hatori stages the moment leavens the breezy tone with a note of poignancy. At the same time, however, these wannabe Spielbergs bring out the best in Hatori’s draftsmanship. Each one’s personality is firmly established in just a single panel: one looks like a refugee from Swingin’ London (or perhaps an Austin Powers film); another dresses like a Taisho-era author, swanning around campus in a yukata; and a third sports a shaggy mane, Buddy Holly glasses, and a female entourage. The efficiency with which Hatori introduces these characters, and the range of personalities they embody, demonstrate just how crisp and distinctive her artwork can be. That Hatori’s heroes are visually bland by comparison says less about her skills, I think, than it does her desire to make Ranmaru’s new “family” seem normal–well, as normal as anyone who specializes in making fake zombie guts can be. The bottom line: Tentatively recommended. If Hatori can tone down her characters’ antic behavior, Behind the Scenes!! could be a winner. Reviews: Sean Gaffney and Michelle Smith post a fresh crop of Bookshelf Briefs. Also new at Manga Bookshelf: Sean tackles the first volume of orange (no, that’s not a typo), Anna N. reviews Takeshi Obata’s kiddie-thriller School Judgment, and Ash Brown weighs in on Hiroaki Samura’s stylish (and bloody) manga Die Wergelder. 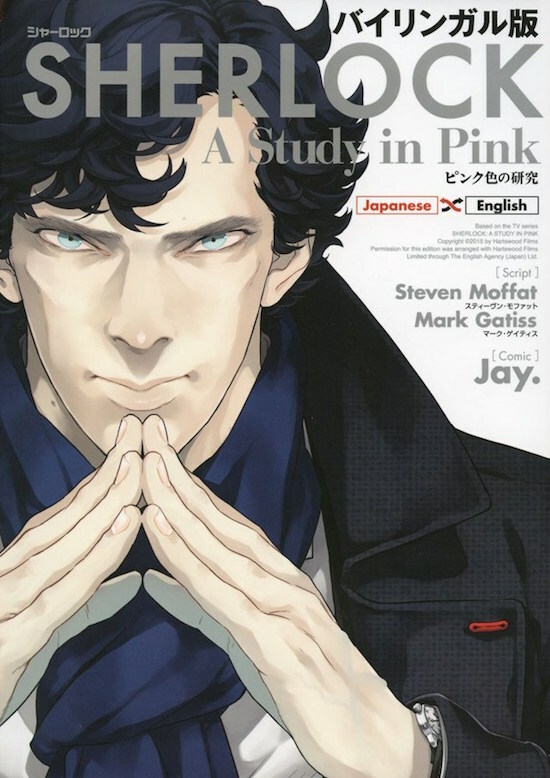 Further afield, translator Jocelyn Allen posts her annual doujinshi round-up. Kentaro Miura’s Berserk is a rite of passage for manga readers: you may not have soldiered past the second volume, but you tried because a Real Manga Fan told you that it was The Most Amazing Manga Ever. I freely admit that I didn’t finish Berserk–too violent for me, I’m afraid–but I marveled at its intricate plotting, feverish pace, and deadly seriousness. (Also: Miura’s penchant for awful names.) When Dark Horse announced that it had acquired Giganto Maxia, I decided to treat this new series as a second “date” with Miura–a chance to decide if I’d judged his work unfairly the first time around. Here’s how that date went. Let’s start with the good: Giganto Maxia is a visual feast that’s every bit as imaginative as Hayao Mizayaki’s Nausicaa of the Valley of the Wind. Kentaro Miura’s pages abound in war-ravaged landscapes, fantastic fighting machines, and bizarre creatures that straddle the fence between human and animal. The specificity of his vision, and the care with which he stages battle scenes, obviates the need for dialogue; we can almost hear and feel what the characters are experiencing on every page. Miura’s script, however, is as tin-eared and self-serious as a high school literary rag. The two leads–Prome, a pale mystic who looks like a young girl, and Delos, a warrior slave–spend an inordinate amount of time describing what’s happening around them, even when the pictures make it abundantly clear. Yet for all their chatter, neither character provides much useful information about the post-apocalyptic world in which Giganto Maxia takes place: who are the Olympians? Why are they so intent on annihilating other tribes? And what, exactly, are the Giganto? The absence of these details leaves a big hole in the story: the characters’ motivation for fighting the Giganto. At the end of the volume, we’re not really sure what Prome and Delos stand for, or what’s at stake if they fail–two fatal flaws in a series that desperately wants the reader to get swept up in their quest. The bottom line: A talky script and barely-there characters sink this smart-looking fantasy series. Reviews: Sean Gaffney and Michelle Smith round up the latest volumes of Arpeggio of Blue Steel, Kimi ni Todoke, and Non Non Biyori at Manga Bookshelf; Sean also reads The Testament of New Sister Devil so that you don’t have to. Over at Women Write About Comics, Amanda Vail and Paige Sammartino offer “short & sweet” reviews of Barakamon, Are You Alice?, and My Hero Academia. Happy New Year! (Is it too late to extend that greeting to readers?) For my first column of 2016, I dove into my pile of unread books and chose two that I’d meant to review last year. The first is Arina Tanemura’s Idol Dreams, a body-swap comedy about a thirty-something office lady; the second is Izumi Tsubaki’s Monthly Girls’ Nozaki-Kun, a 4-koma series about a hunky high school manga artist who just happens to be the author of a popular girls’ comic. Chikage Deguchi is at a crossroads: once a pretty, popular high school student, she’s become a sexless, thirty-something office drone who’s mocked by her co-workers. After making a fool of herself at a high school reunion, Chikage’s childhood friend Tokita stages a unique intervention, offering Chikage a drug that transforms her into a 15-year-old girl for a few hours a day. Chikage then does what any self-respecting 31-year-old would do: she pursues a (part-time) career as a teen idol. Setting aside the question of whether anyone would voluntarily relive their teenage years, Idol Dreams has a bigger problem: tone. Arina Tanemura can’t decide if her story will revel in its absurdity or play things straight, and veers wildly between wacky show-biz hijinks and clumsy office scenes that are meant to establish just how awful Chikage’s adult life is. In the afterword to the story, Tanemura cheerfully vents her frustrations at being asked to do “a magical girl series for adults” without recourse to “too much screentone,” “gags and comedic touches,” or “super-stylish atmosphere.” Oddly enough, I don’t think these restrictions are the true source of the problem; if anything, Tanemura’s artwork is more polished and appealing in Idol Dreams than in Phantom Thief Jeanne or I.O.N. The real issue is the lead character: Tanemura never really explains why temporarily impersonating a 15-year-old would solve any of Chikage’s issues, especially since Chikage’s teenage alter ego is a wet noodle, too. The underlying message seems to be that recapturing youthful beauty is a pathway to empowerment–not a particularly novel or uplifting idea, given the developed world’s obsession with Botox, face lifts, wrinkle cream, and 17-year-old models. The bottom line: I never thought I’d say this, but Idol Dreams is the rare Tanemura manga that would benefit from more zaniness and sparkly backgrounds. Monthly Girls’ Nozaki-Kun is a textbook example of what happens when a great idea bumps up against the limitations of a restrictive format. The set-up is comedy gold: tenth-grader Chiyo Sakura confesses her romantic feelings to hunky classmate Umetarou Nozaki, only to have him casually respond, “Do you want to come to my place right now?” Flustered, Chiyo agrees but is surprised when Nozaki doesn’t put the moves on her; instead, he puts her to work on a chapter of his hit shojo manga Let’s Fall. Chiyo’s attempts to extricate herself from Nozaki’s employ or clarify her feelings for him only make things worse, as Nozaki is both romantically inexperienced and genuinely obtuse. So far, so good: the concept provides plenty of fodder for jokes and pratfalls. The four-panel format, however, locks each character into a holding pattern in which he or she is doomed to repeat the same behavior over and over again. The supporting cast is big enough to prevent Monthly Girls from reading like a month’s worth of Cathy or Garfield strips, but the rhythm of every gag is virtually the same, whether author Izumi Tsubaki is introducing a new character, poking fun at shojo manga cliches, or demonstrating just how socially inept Nozaki really is; long stretches of Monthly Girls read like a Henny Youngman set, albeit with stranger–and funnier–material. Take my manga… please! The bottom line: Some of the jokes are genuinely funny, but the series already feels like it’s chasing its tail by the end of chapter three. Odds and Ends: Organization Anti-Social Geniuses has a new look, a new name, and a new URL. You’ll now find Justin Stroman and the gang at http://www.theoasg.com/. Manga vlogger Pluto Burns took a break from reviewing books and conducted a great interview with Carolina Manga Library founder Laura Mehaffey. If you’re not familiar with the good work that Mehaffey and her staff are doing, click here to learn more about this traveling book collection. Reviews: Sean Gaffney, Anna N. and Michelle Smith post their first Bookshelf Briefs column of 2016. On the agenda: D-Frag!, My Love Story! !, Pandora Hearts, and Saki. Elsewhere on the web, Rebecca Silverman and Kory Cerjak review the first volume of Yowamushi Pedal, my pick for Best New Manga of 2015.